This sign is for Western Union Telegraph. The sign’s colors are yellow, black, blue and white. 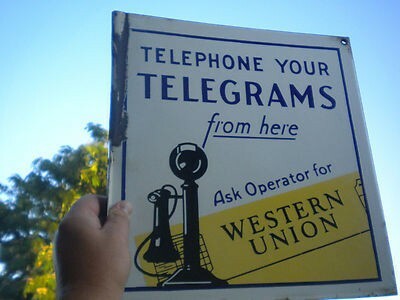 The text on the sign reads: Telephone your telegrams from here ask operator for Western Union. The sign shows an old phone in the corner with text surrounding.